Born in 1979 in Kyoto, Japan. Lives and works in Hyogo, Japan. Masakatsu Takagi started his career as a visual artist, creating video art with his own music which played with his Piano and software processing. In 2001, His first album, Pia, was released by Carpark Records in the United States. Following other releases on Karaoke Kalk, he shifted his focus to playing the piano more specifically, in the form of intimate solo piano style, as well as in band settings and with larger orchestras as well. In 2013, he moved from Kyoto to a very small village in mountains in Hyogo, Japan. With small slates of agriculture, he started to learn how to live in traditional living style of Japan. A few years later in 2017, Takagi started working on Marginalia, consisting of daily piano recordings created in his private studio surrounded by the mountains, with a heavy influence of the sound of the adjacent nature from the studio’s open windows. 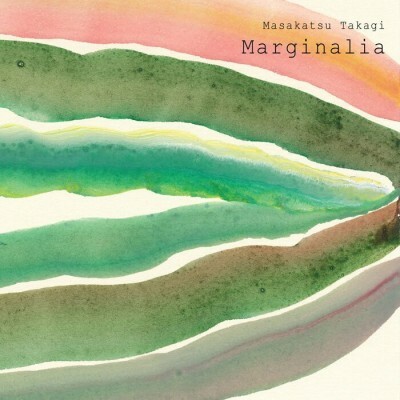 These recordings, which encompass a duality of simplicity as well as a vastness that comes from the freedom from life’s distractions, began to represent not just a collection of new material, but a sightline into Takagi’s life in Hyogo. Milan Records will be releasing Marginalia on December 7th on cd/digital/vinyl. "I opened all the windows to welcome the sounds of nature and played the piano without any sort of preparation: no overdubbing, no writing, no editing or mixing, no fixing…just as it is, he describes. "What you are listening now are raw, improvised piano recording where the sounds of nature and the musical notes are recorded at the same time, in harmony without any discrimination. I love to think that nature might also listen to my piano. The nature is the melody. The piano is the harmony." His visual works have been exhibited at many museums and galleries as well. Some of his works are owned by contemporary art museums , have been commissioned by institutions of science and universities, while also be commissioned by companies like Audi or Nokia. In 2003, as a visual artist, he collaborated with David Sylvian, creating visual projections for Sylvian’s concerts. Takagi has also created visuals for other musicians like Cornelius, and Sketch Show (Haruomi Hosono and Yukihiro Takahashi). Starting with Wolf Children (2012), he has created scores for animation films directed by Mamoru Hosoda. These titles include The Boy and the Beast (2015), and the upcoming release of Mirai (2018). The Wolf Children score was chosen as the iTunes Best Soundtrack of 2012 in Japan. Additionally, he also composed music for The Kingdom of Dreams and Madness (2013), a documentary film for Hayao Miyazaki (Studio Ghibli) directed by Mami Sunada. As for Marginalia, the material ranks among Takagi’s most intimate compositions. The tracks stand as beautiful reflections on man’s relationship with the environment, and are a must-own for fans of neo-classical compositions, and solo piano works.